September 21, 2017 Calling all international curling fans! If you live outside of Canada and are looking to watch every event of the 2017-18 Pinty’s Grand Slam of Curling season, look no further than YareTV. YareTV ensures that you can keep up with all the action and follow your favourite curlers with the convenience of either tournament or season passes. What is YareTV? YareTV operates a platform to provide sports rights holders way to expand their reach. Partnering with Rogers Sportsnet, Yare offers packages for international curling fans to follow exciting Pinty’s Grand Slam of Curling events. 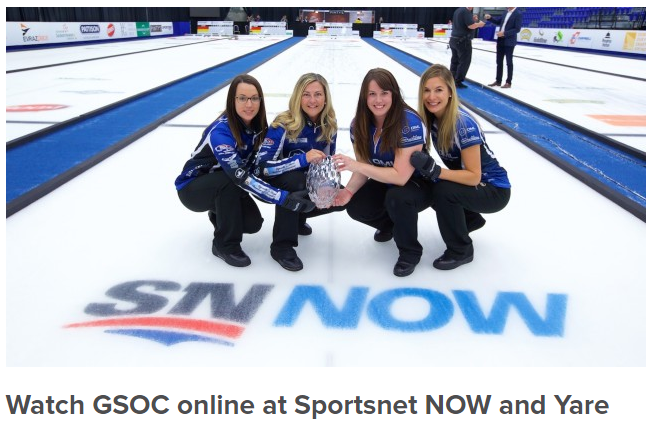 Events are streamed in LIVE in HD and are made available for on-demand viewing immediately upon completion for curling fans outside of Canada. Season Passes allow you to go back and watch previously played events including the Tour Challenge, Masters, and Boost National.